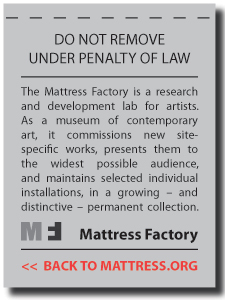 The Mattress Factory's last ARTLab program was a do-it-yourselfer's dream. We made our own weaving looms from cardboard while using yarn and natural materials, such as leaves and sticks, to make some truly wild woven fabrics. A few brave visitors even took the initiative to create a Chiharu Shiota-inspired yarn installation outside in Winifred Lutz’ Garden Installation. We go from DIY to high tech for the next ARTLAb program on Saturday, May 3rd with our final installment of the Photovoltaic Solar Energy and Art Series. The Mattress Factory and Conservation Consultants Inc bring you one last solar power extravaganza with special guest Fred Underwood, founder of Underwood Solar Future LLC. Join Fred along with educators Derek Reese and Indigo Raffel in the museum lobby to learn how to perform a solar sighting using a state of the art Solar Pathfinder. Participants will also have the chance to turn the solar energy hotspots they discover around the museum into an art activity by creating photographic sun prints. 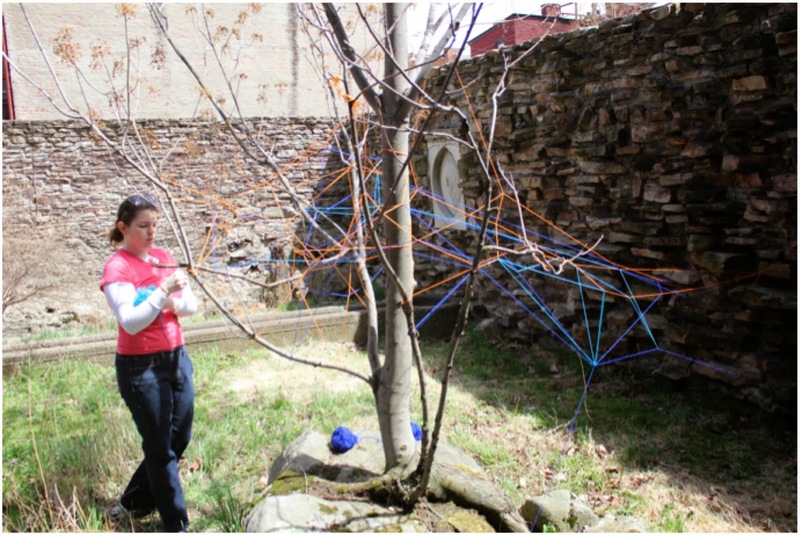 The “Searching for the Sun” ARTLab takes place on Saturday, May 3 from 1:00PM to 4:00PM.